Sometimes making the bathroom shine is easy with some basic kitchen products. Faucets, tubs and sinks can use a little help to bring back that like new sparkle. There is no need for harsh chemicals to keep a bathroom shiny and clean. Sometimes it is the simplest things that make the bathroom look refreshed and clean. The bathroom will sparkle and have a nice clean smell. To make tubs and sinks shine, use a lemon dipped in borax. Rub the lemon with the borax on the tub and sink. Rinse when done for a sparkling shine. To clean enamel that has become discolored, make a turpentine and salt mixture. Saturate a cloth in the solution and rub down the white discolored enamel. Rinse very well afterwards. 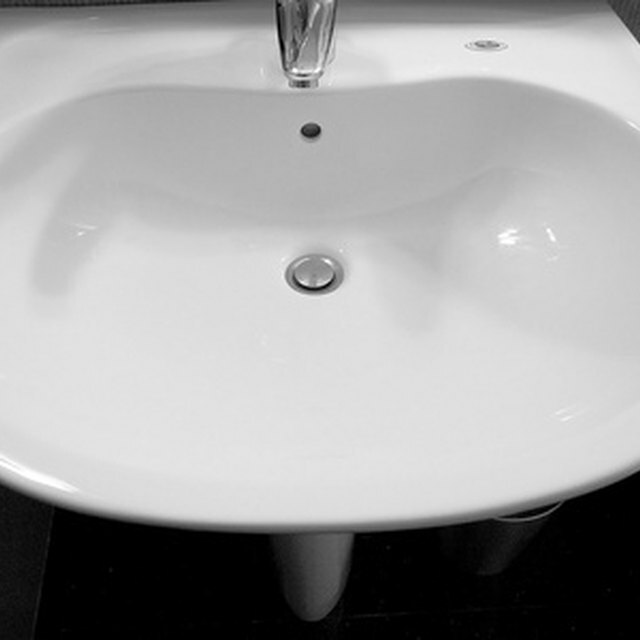 To remove soap scum build up from sinks and tubs use a cloth soaked in white vinegar. Wipe down the tub and sink with the vinegar, then use a different cloth and baking soda. Rub the baking soda all over the tub and sink. Rinse the tub and sink with water. To clean a toilet, pour some vinegar in the toilet bowl and allow to sit for five minutes. Flush the toilet. If there are stubborn stains, pour the vinegar into the toilet bowl and scrub with a toilet brush. To remove calcium build up on faucets, take some tissue paper soaked in white vinegar and wrap it around the faucet for two hours. Remove the tissue and rinse with water for a clean and shiny faucet. To bring out the shine in a faucet, rub flour on the faucet with a dry cloth. Dust off the flour with a different cloth and the faucet will shine. Some people find that vacuuming works better for removing the dust. If there is no lemon, lemon juice saturated on a rag will work. Use gloves when cleaning the bathroom.